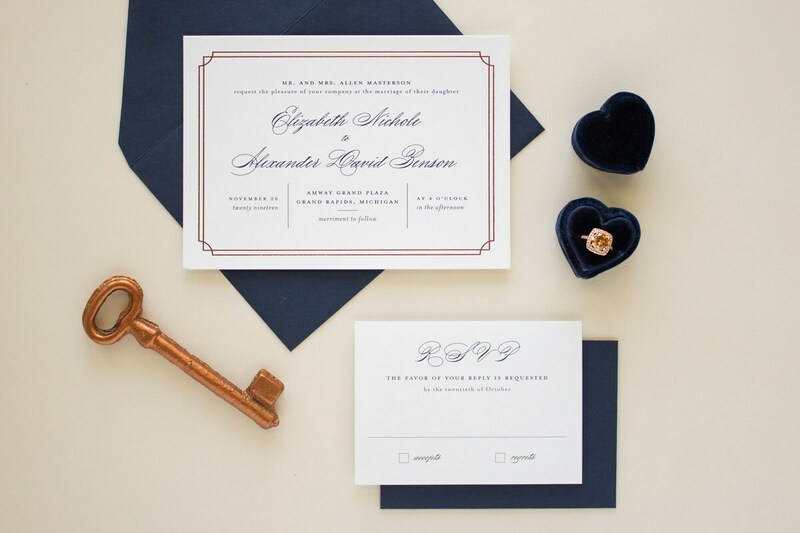 These navy and copper foil stamped wedding invitations with formal typography would be perfect for your black tie wedding. 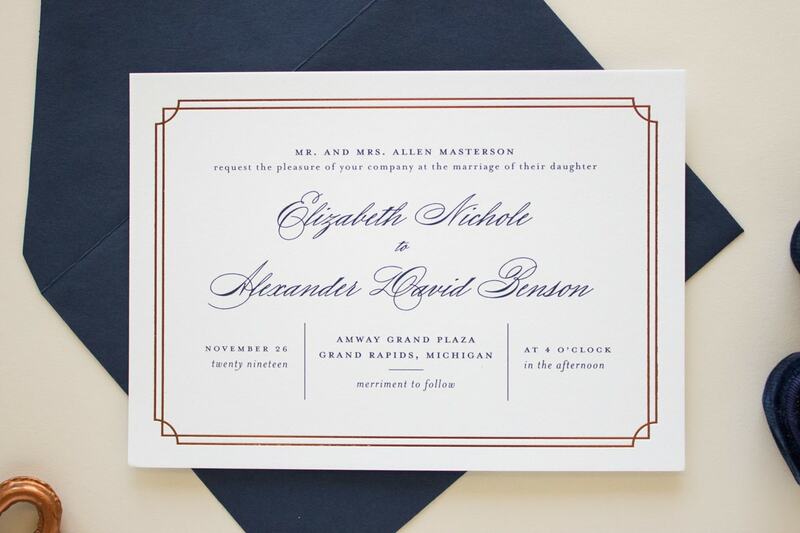 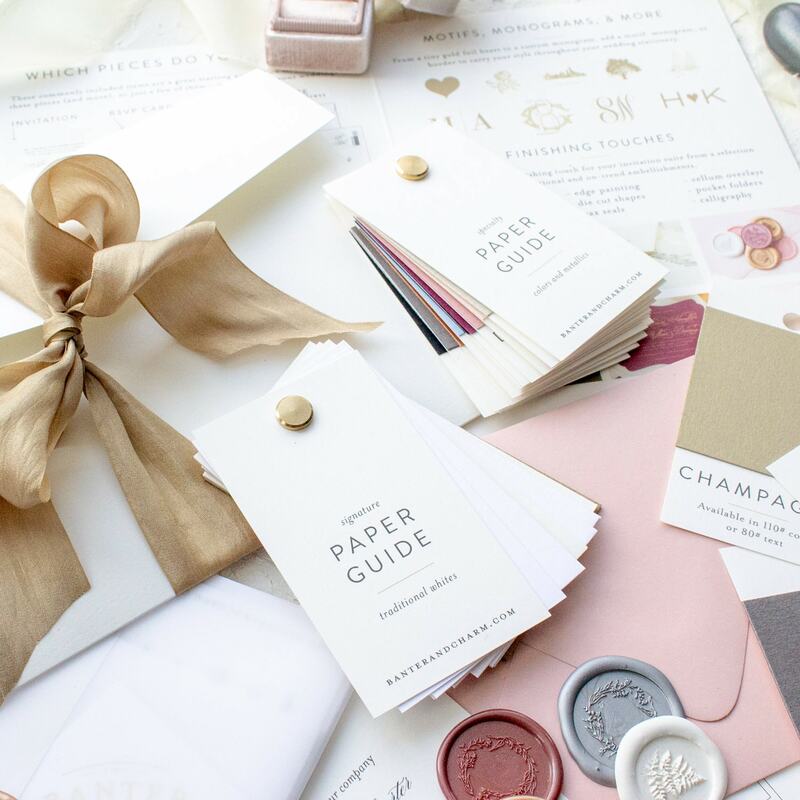 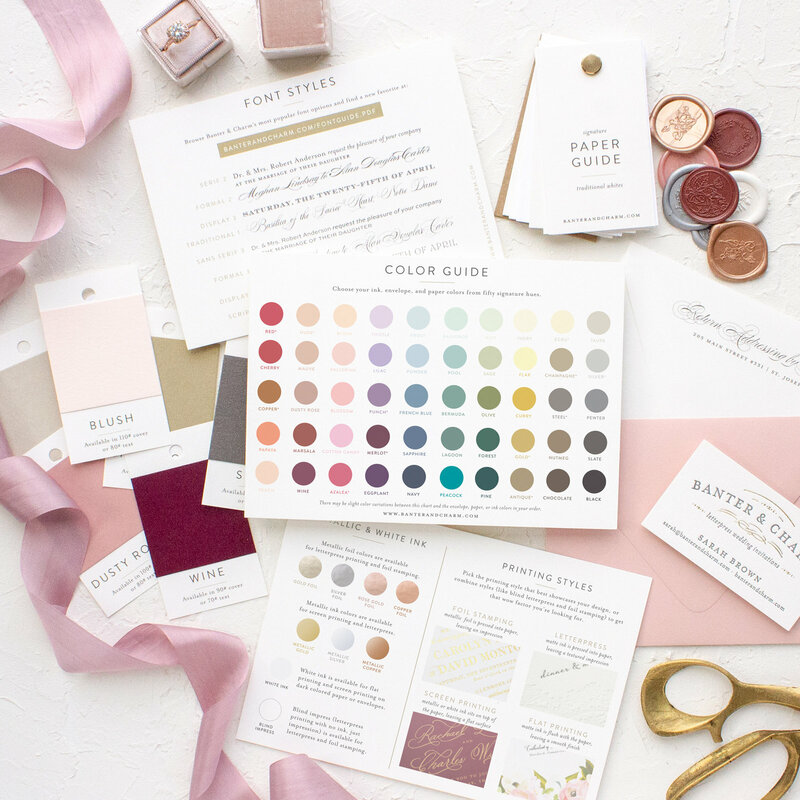 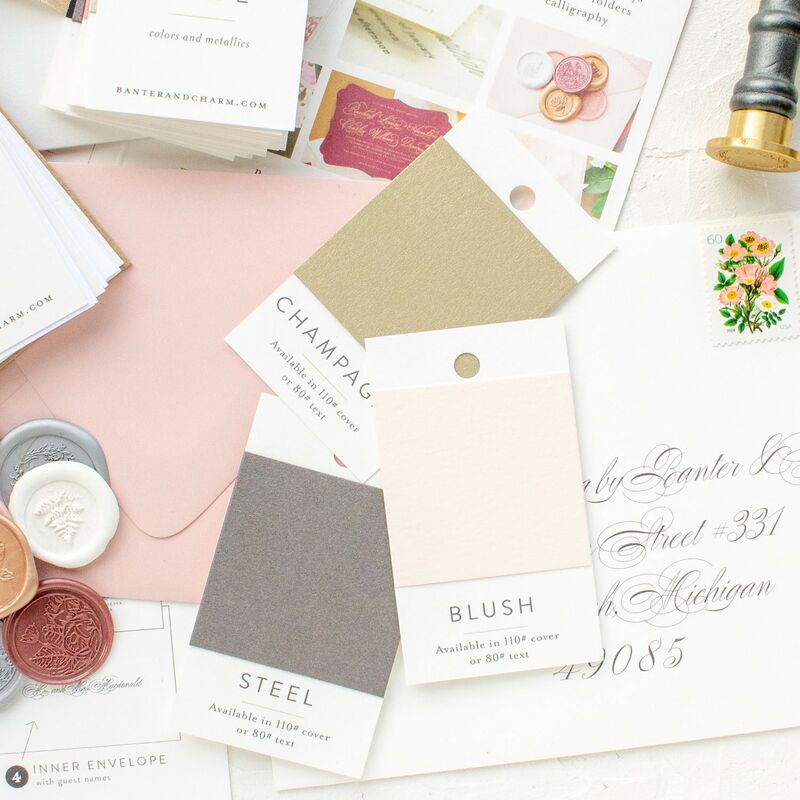 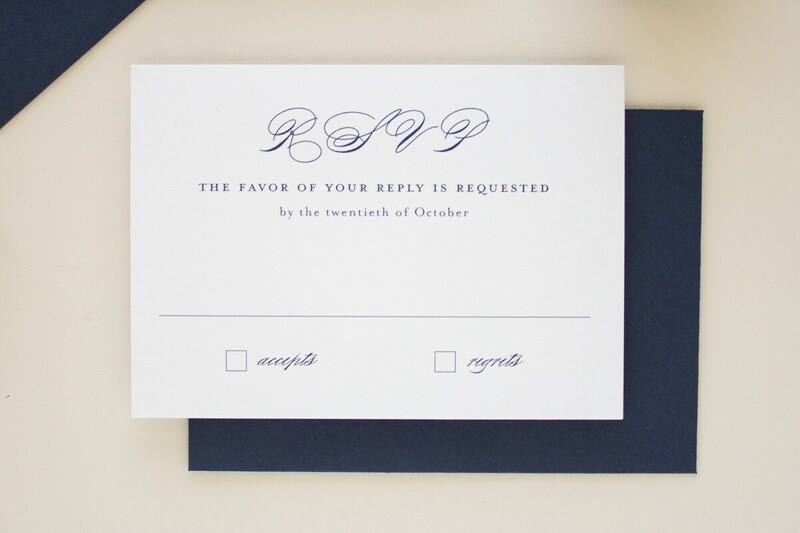 Foil stamped wedding invitation samples are not personalized and are sent with the colors and wording shown. 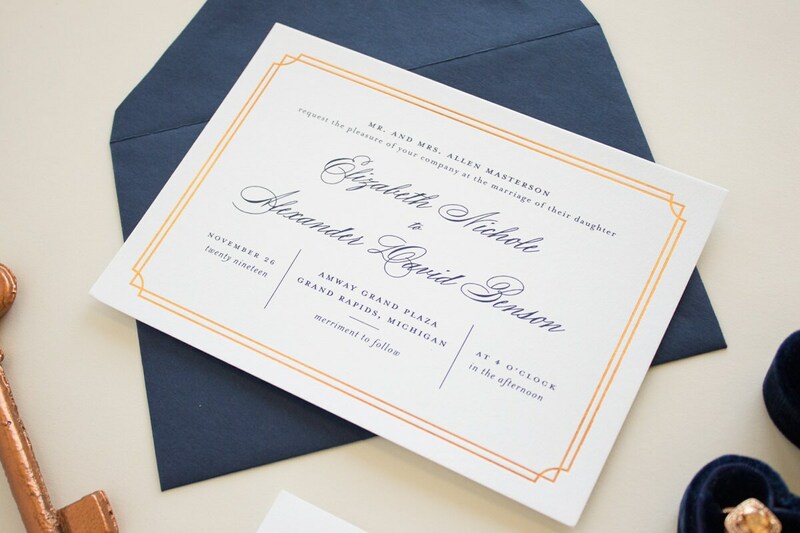 The Refined sample invitation is available in Navy flat printing + Copper foil stamping on 118# Brilliant White cotton paper.